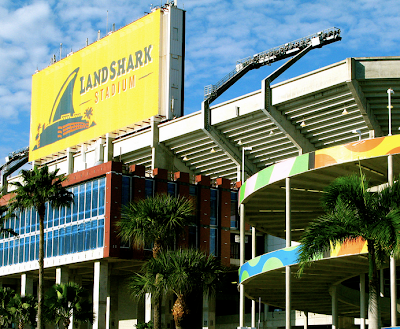 That pet peeve aside (the NFL Giants/Jets and Redskins are just a few more teams who don't play in the geographical space their name attests), the stadium formerly known as Joe Robbie Stadium has a new corporate partner and, thus, a new name for the upcoming NFL Pro Bowl and Super Bowl. That means that, tomorrow, this facility will be christened with its 7th name change in just 22 years. Such turnover makes the abstinence from selling naming rights by the Cleveland Browns (Cleveland Browns Stadium), Cincinnati Bengals (Paul Brown Stadium), Kansas City Chiefs (Arrowhead), Buffalo Bills (Ralph Wilson Stadium), New Orleans Saints (Superdome), Atlanta Falcons (Georgia Dome), Green Bay Packers (Lambeau), and Chicago Bears (Soldier Field) seem noble. It does draw attention, however, about the possibility of a naming rights agreement for the new Cowboys Stadium or New Meadowlands Stadium. With Dallas set to host the Super Bowl next year (and the NCAA Men's Final Four in 2014), Jerry Jones could maximize the price of an agreement for that kind of premium visibility. The same goes for the new stadium in the Meadowlands, with a slew of events to take place in the next year. In an interview with Sports Business Daily, Randy Bernstein with Premier Partnerships, an agency that matches bidders and stadiums for naming rights contracts, said it is only a matter of time before these large stadiums (including nearby Rutgers University's updated football stadium) get new names: "The marketplace is very active again...and you will see some of the largest facilities do deals this year." 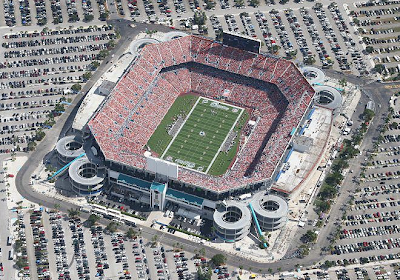 In the meantime, Sun Life Financial will pay the Dolphins $7.5 million a year for the next five years. 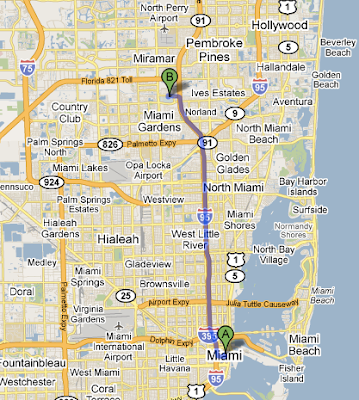 What are embattled Dolphins fans to do? I suggest they join the underground swell of the Naming Wrongs Movement. That t-shirt is available at NoMas-NYC. The Naming Wrongs movement is a brilliant idea that came to fruition when the venerable Shea Stadium closed and the Mets opened Citi Field. The idea of the original shirt "I'm Calling It Shea," has since spread to Mile High Stadium (now known as Invesco Field at Mile High), Jacobs Field (Progressive Field), and Comiskey Park (U.S. Cellular Field). Part of the proceeds go to a local (NYC) food bank. Since fans are mere pawns in the financial games of far-richer men and women (J-Lo and the Williams sisters became part owners recently), I side with the Naming Wrongs movement and suggest a resistance to accept the name. Let's just call it what it should be. 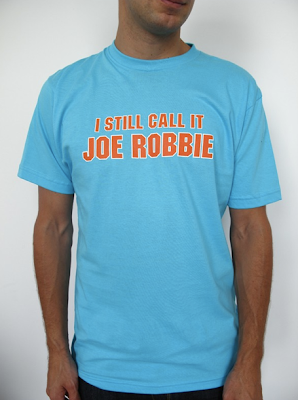 Like the shirt above, I'm calling it Joe Robbie.